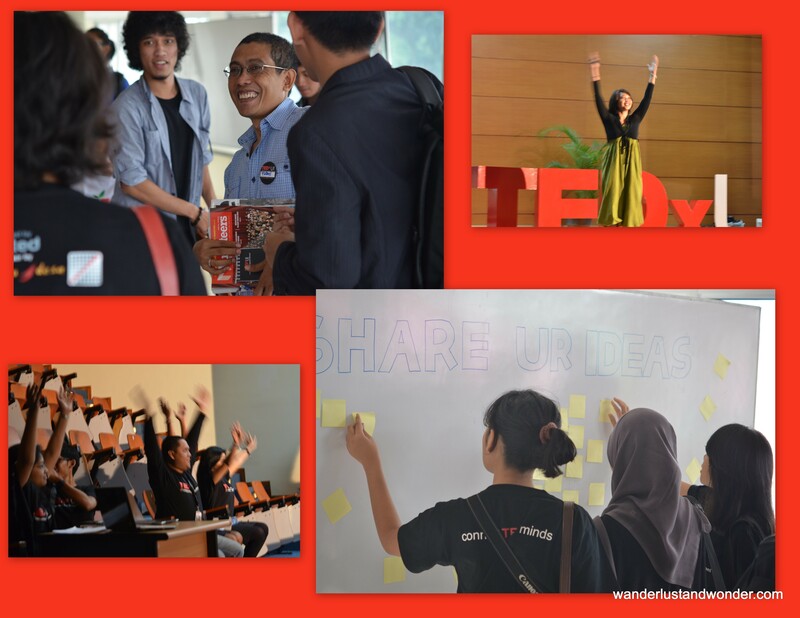 Yesterday marked the first University-based TEDx event in Indonesia. TED brings together people from the technology, entertainment and/or design realms and gives them a forum to share their stories of dedication and success. Each speaker gets 18 minutes to inspire audience members through their tales of overcoming obstacles and in turn enjoying the kind of success that comes only to those who dare to dream big and work hard. Students at UI put together a five-hour event that showcased a handful of videos from the TED.COM website interspersed with five speakers who were either a student, a faculty member or an alumnus of the institution. The selected speakers elaborated on a variety of topics each with their own creative spin. Metta Anggriani spoke of Yoga’s ability to change the world, UI undergraduate Naufal Fileindi shared his passion for law and his dedication to making it accessible to all, while Sigit Kusumawijaya asked the audience to imagine a better society through environmental sensitivity, and UI marching band teacher Teguh Darmawan gave a beautiful and poignant trumpet performance. UI’s TEDx event resonated with all who attended, leaving audience members motivated to create positive change within their own personal spheres of influence. Like laughter, passion too is contagious. It’s a concept that TED fosters and promotes through their online database of over 600 videos, through TED events (which are organized and presented by TED), and by TEDx events-like this one-which use the principles and videos of TED, but are independently conceived and organized. Yudhi Widdyantoro talks with students. TEDx speaker Metta Anggriani in action. I also had the great pleasure of meeting several attendees whose own social activism and work was greatly inspiring. Yudhi Widdyantoro holds Social Yoga gatherings each Sunday at Menteng’s Suropati Park. There he teaches yoga asking only for a donation, which he uses to help victims of natural disasters. 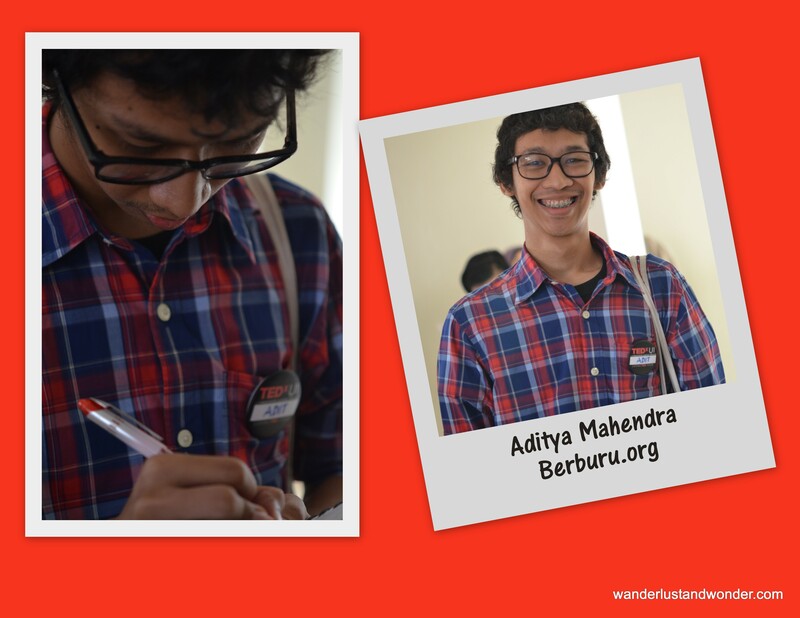 Aditya Mahendra is a student at UI and is also the Public Relations Director for an organization he helped found. His organization, called Berburu Center, envisions “a cultured Indonesia” and has some 60 volunteers reaching out to elementary school students each Saturday, with the goal of inspiring learning rather than mandating it. And finally Royhan Benasetya is the kind of teacher you rarely find in today’s high schools. His charisma and complete dedication to building self-confidence in his students becomes clear the minute he starts talking about his passion for teaching. Royhan asserts that when teachers cultivate a love of learning and a dedication to the pursuit of knowledge in their students, their students will go very far in life. 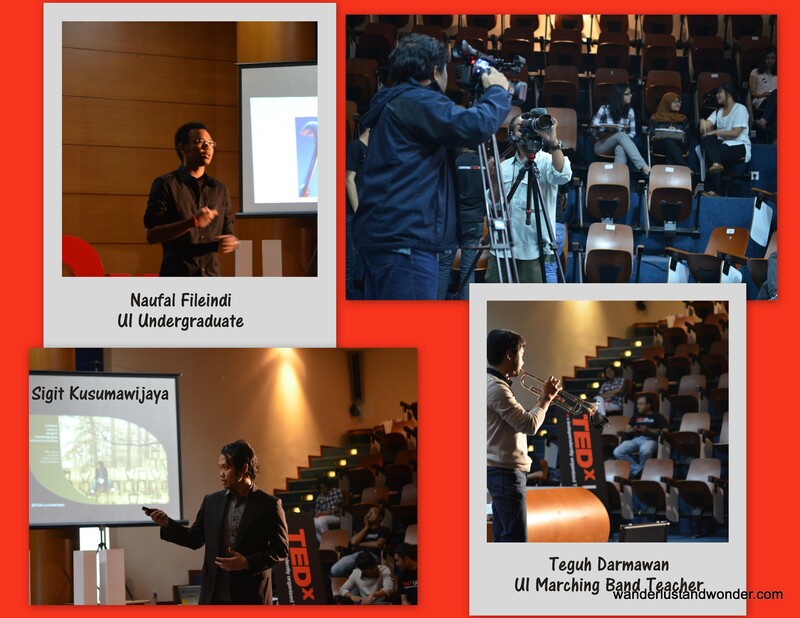 UI’s TEDx event was a great success with a turnout of over 100 people. It was an amazing experience and one I hope to repeat in the near future, as UI students are already hard at work envisioning their next TEDx event. The Organizers, Speakers, & Audience. I envision that hall being charged with energy. It is so inspiring to read of people who act upon their passion in such a positive format. Great article….I would have loved to have read more. Thanks! I feel fortunate to have attended :) AND, I hope to elaborate on the people I met in future posts…stay tuned! Mel- this was your best yet! You just keep getting better and better sweetie!! Thanks Bonni! I did have a great time :) & I would love to collaborate on a project. Keep in touch! thanks for quick response.. may i get your contact detail (number,email,twitter) or anything. so we can keep in touch. u can send it to my contact detail. 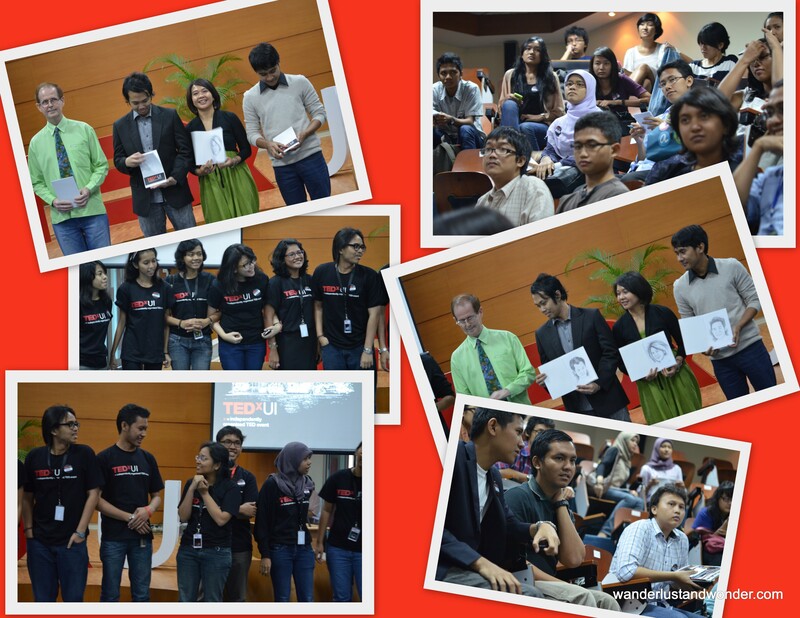 and may i get copy of your picture from TEDxUI event. 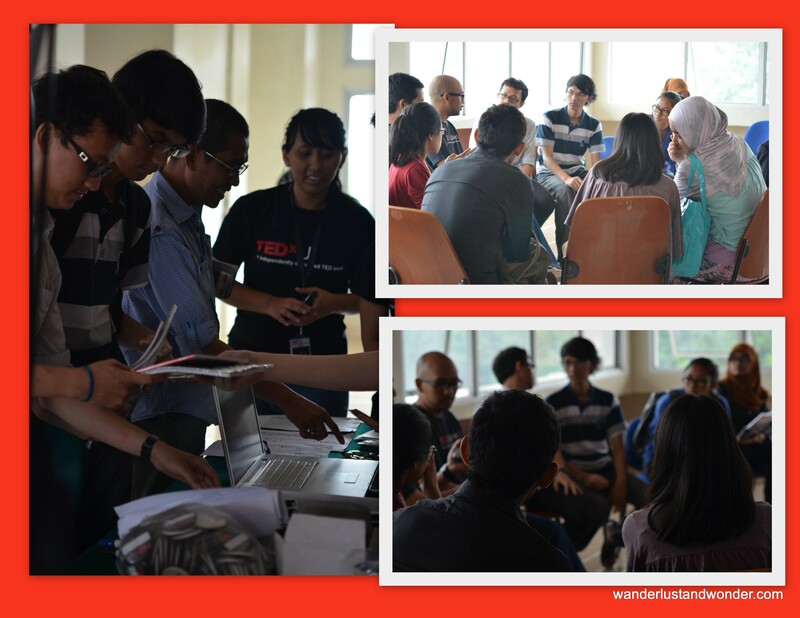 u can give watermark in every single picture u copy for TEDxUI. Thanks lot melany, TEDxUI feel so exciTED read your article.